WASHINGTON—In an effort to destroy as much incriminating evidence as possible following the indictments of Paul Manafort and Rick Gates, White House staffers reportedly spent Tuesday frantically shredding Trump campaign aides. 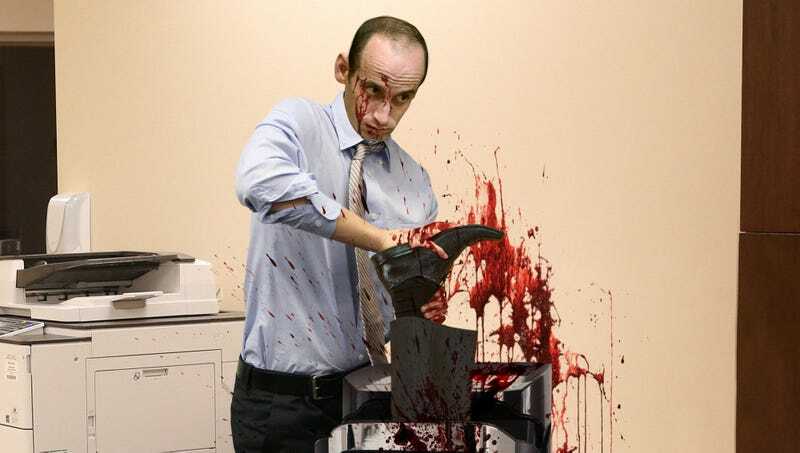 “We should have done this months ago; we need to shred as many of these campaign aides as we can before Mueller gets his hands on them,” said senior policy advisor Stephen Miller, who directed employees to search the White House and hand over any damning campaign consultants while he manned the industrial shredder, stopping occasionally to un-jam the machine. “Oh god, there’s just so many of them. This could open us up to a lot of bad things. It’s gonna take all day to destroy the staffers we have here, plus there’s still a bunch in New York.” At press time, Miller reportedly started a bonfire on the South Lawn after deciding it would be much faster to burn the enormous pile of campaign aides his team had collected.